At Danielly's Boutique, we aim to help brides and quinceañeras have a smooth process throughout their entire event planning. We know how stressful it can become to plan a very important event in your life, therefore, our goal is to have you bring all your ideas and be able to put them together in one place! That's why we strive to carry the best products and partner with the best vendors to give you an amazing experience. We understand the stress of keeping track of all the different vendors and stores when planning an event, so look no further, and let us take that stress away from you! You'll find a vast selection of gowns for everybody in your party, tuxedos for the men, and services to make your event run smoothly! Elizabeth became the founder of Danielly's Boutique over a decade ago. A natural born business woman with a sweet and loving spirit. Not only does she strive to make her customers happy, but she develops a personal relationships with them. Her dedication and strategic skills is what helps to make every event possible. 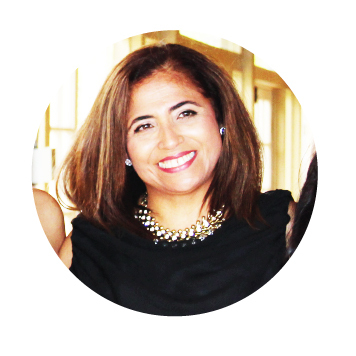 Mirna is the heart and soul of Danielly's Boutique. She has dedicated more then 10 years in the growth of this company. As the store manager she knows the in's and out's of everything, helping to create the perfect package with the perfect prices for you and your party! Daniela has a passion to create and design. Since graduating from Liberty University in 2014, she has dedicated her career in helping the family business flourish. Through that time she has developed a passion in working with flowers and creating beautiful events. Her desire is to continue learning and expanding her creativity while helping brides and quinceañeras have the day of their dreams. If you'd like to receive more information on our products or services please feel free to contact us today!